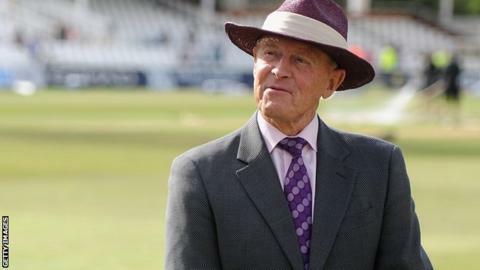 Geoffrey Boycott said he was "disappointed" that Yorkshire's membership have voted against his bid to rejoin the county's board. The former county captain and president's candidacy was rejected by 758 votes to 602, it was announced at the club's annual general meeting. Yorkshire chairman Steve Denison had asked club members not to vote in favour of the ex-England opener. "I'm disappointed - but nothing's changed," said Boycott. "I'll be here for the first match of the season," added the 75-year-old, who played for the club from 1962-1986. Despite posting a post-tax profit of £368,000 for 2015 - their first profit since 2009 - Yorkshire are still more than £20m in debt, and Boycott had expressed concerns about how the club was being run. "I didn't put up to win or lose, I thought I could do some good for the club. I just wanted to put some points of view, some opinions to help," he added. Denison had said the board needed "individuals with skills that can guarantee the survival of the club", and members' committee chairman Stephen Mann had also described Boycott as "out of touch". However Denison said that Boycott, who acts informally as an overseas ambassador for the club, remains a key figure in the club's plans. "He's a legend of the club and we want to see him at Headingley at every possible opportunity. He'll always be welcome here so let's hope that's what happens going forward." Three other candidates - vice-chairman Mark Arthur, chief executive Robin Smith and tourist board Welcome to Yorkshire CEO Sir Gary Verity - were all voted on to the board at the club's annual general meeting. Boycott's long-time Yorkshire team-mate John Hampshire has been voted in as the club's new president following the two-year tenure of former player and umpire Dickie Bird.